We have so much to do before Christmas, so these easy homemade truffles 3 ways will save your time, preparing your festive table or edible Christmas gifts! 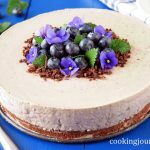 You will need only few ingredients, no baking and only 10 minutes to make these Christmas desserts! Moreover, you can see the photos, where you can choose from different serving ideas. First truffles are made with marzipan, coated with chocolate and with dried cranberries in the middle. Marzipan chocolates are vegan snack that are impossible to resist! 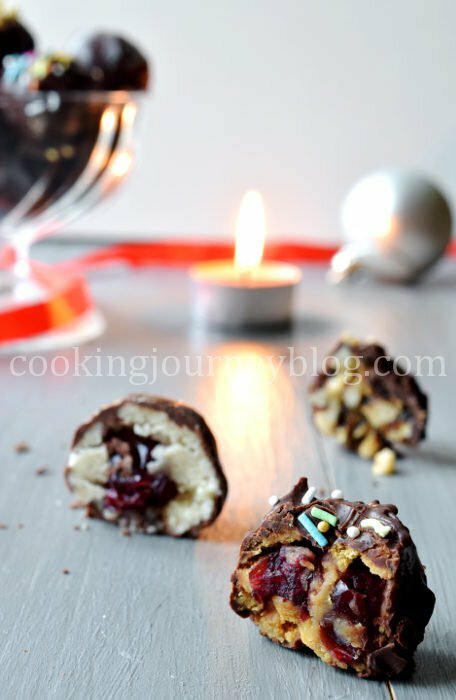 This chocolate candy is perfect Christmas dessert, made easy, no baking needed. 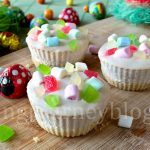 Moreover, you will need only 3 ingredients to make marzipan candy! There is almond paste and marzipan, both are used in cooking, both are made from almonds, sugar and water. However almond paste is a little more bitter and coarser than marzipan, preferable used in baking. Marzipan is used for making candies and it has white color. 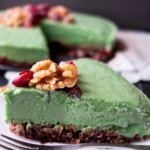 However I used leftover almond paste with this recipe and loved its sweet and tart taste. For the second Christmas candy idea I used soft biscuits, yogurt and dried plums. These 3 ingredients are blended together and covered with chocolate. While the chocolate is not set, sprinkle it with colorful sugar! These vegan treats are made with walnuts and dried fruits, covered with chocolate and sprinkled with crushed nuts. 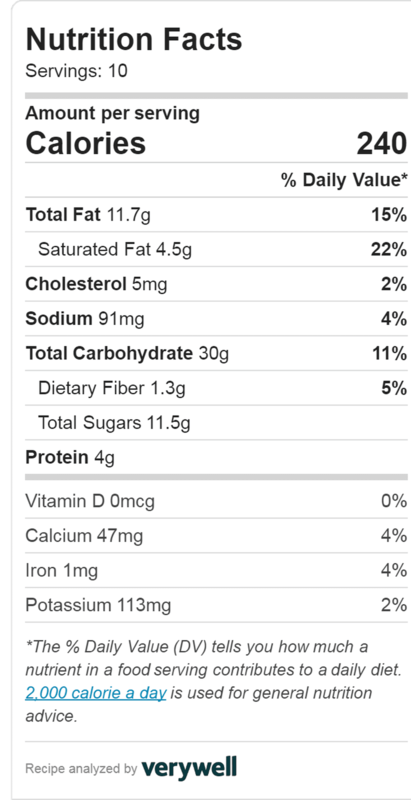 I would rather call these truffles healthy snickers. By the way, you can use any other nuts that you have! 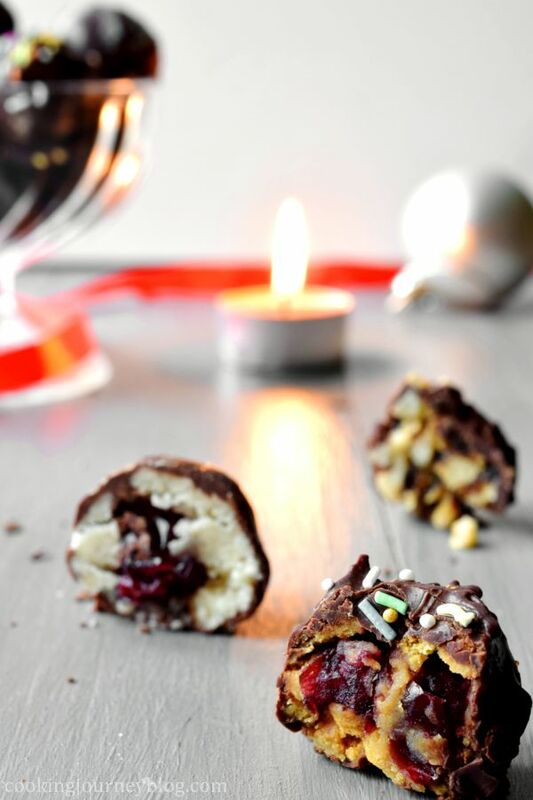 So you can rather make all these Christmas chocolate truffles or choose the one you like. Which one do you like the most? Moreover, you can make all these different – all the guests will get surprise inside! Oh, and this easy recipe is great for making edible Christmas gifts! 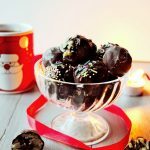 We have so much to do before Christmas, so these easy homemade truffles 3 ways will save your time, preparing your festive table or edible Christmas gifts! You will need only few ingredients, no baking and only 10 minutes to make these Christmas desserts! Cut the marzipan in smaller pieces. Place 1-2 cranberries inside and cover them, making a ball from each marzipan piece. Melt the chocolate on the double boiler. Use a tooth pick or a spoon, place all truffles one by one, covering with melted chocolate. Place on clean baking paper and let it set. Process everything until smooth. 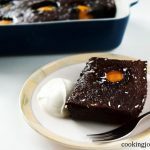 Cover in chocolate, sprinkle with colorful sugar. Let it set on a baking paper. Put everything in food processor, pulse until smooth. Make a ball from the mixture and cover it in melted chocolate. 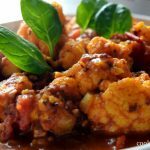 Put on the baking paper and sprinkle with crushed walnuts on top. Let it set. *Estimated calorie count: 3 different chocolate truffles per serving. 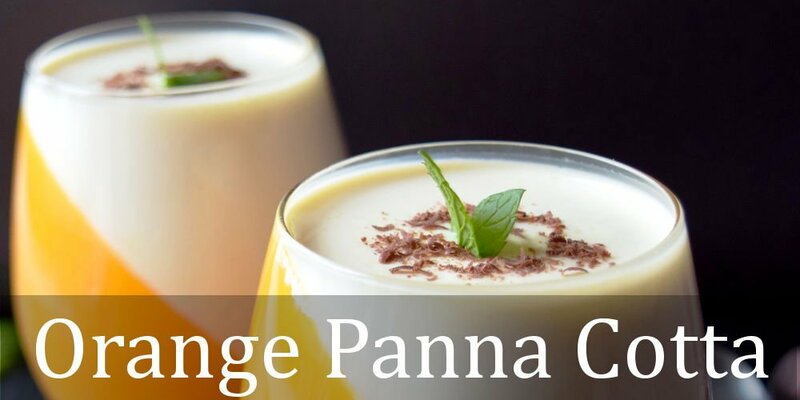 All three sound lovely – I might just have to make them all and serve as a selection. Great idea! These will look and taste great on a Christmas platter. This is so easy my kids can help me! What a delicious Christmas it will be! Absolutely! 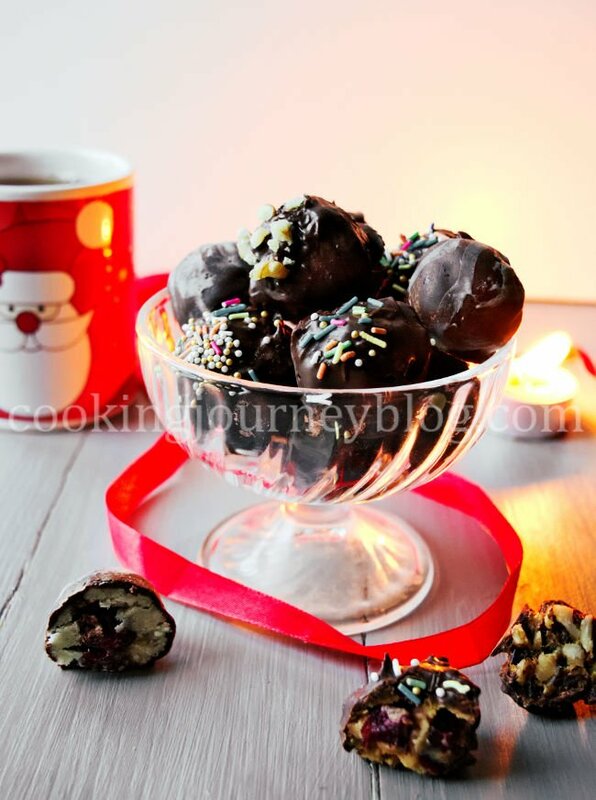 Have fun in the kitchen, preparing Christmas truffles and many other treats! 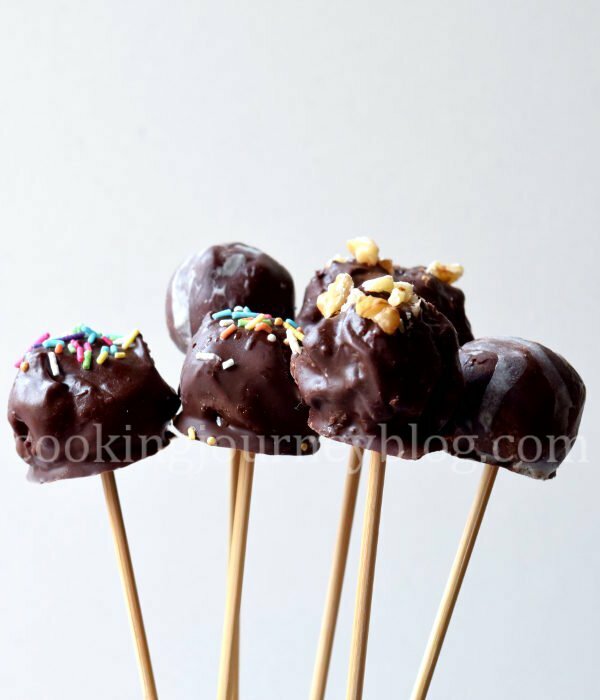 I love truffles and these look pretty easy to make! Thanks for sharing. These are also healthier truffles, so give it a try! They are good for sharing all year long. These chocolate truffles will make the perfect teacher and neighbor gifts this Christmas. Thanks for sharing. I think everyone will love these truffles! Making a homemade gift for Christmas is always a good idea. There always should be some chocolate treats in the house! Marzipan truffles are my favorite, too.